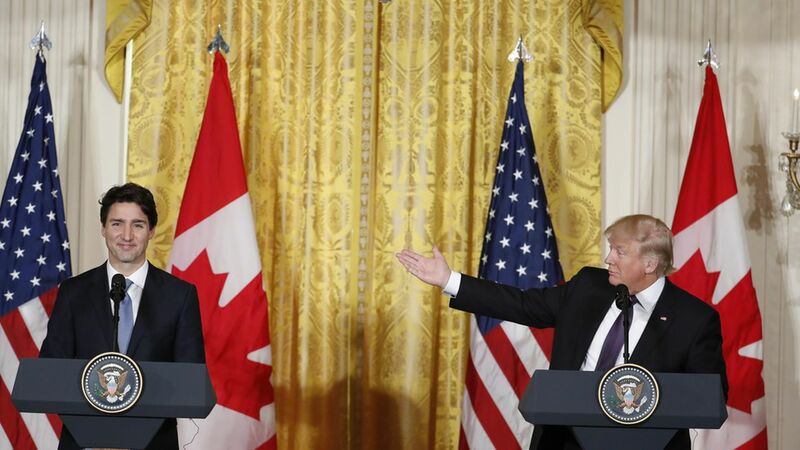 Last week in Iowa, President Trump called for a "total rewrite of our immigration system into a merit-based system," reminding everyone that his interest in looking to Canada as a model for how to rebuild the U.S. immigration system has not weakened. The results: According to NYT's Jonathan Tepperman, Canada has one of the highest per-capita immigration rates in the world, about three times higher than the U.S. Yet at the same time their foreign-born population is more educated than that of any other country on earth. "Immigrants to Canada work harder, create more businesses and typically use fewer welfare dollars than do their native-born compatriots," writes Tepperman. How it works: Canada evaluates immigrants on an economically-focused nine-point rubric that ignores their race, religion and ethnicity, and instead focuses on their age, education, job skills, language ability and other merit-based qualities. "About half of all Canadian immigrants arrive with a college degree, while the figure in the United States is just 27 percent," explains Tepperman. "Immigrant children in Canadian schools read at the same level as the native born, while the gap is huge in the United States. Canadian immigrants are almost 20 percent more likely to own their own homes and 7 percent less likely to live in poverty than their American equivalents." The payoff: Canadian voters are extremely supportive of the country's accepting culture. Recent polls reveal that 82% think immigration is good for the economy, and two-thirds said multiculturalism represents one of Canada's best features — they even rank it higher than hockey, notes Tepperman.